← Join the Bike Train in Acocks Green – catch the last train on Monday 29th! Only a few days til the end of term and the long summer holidays. 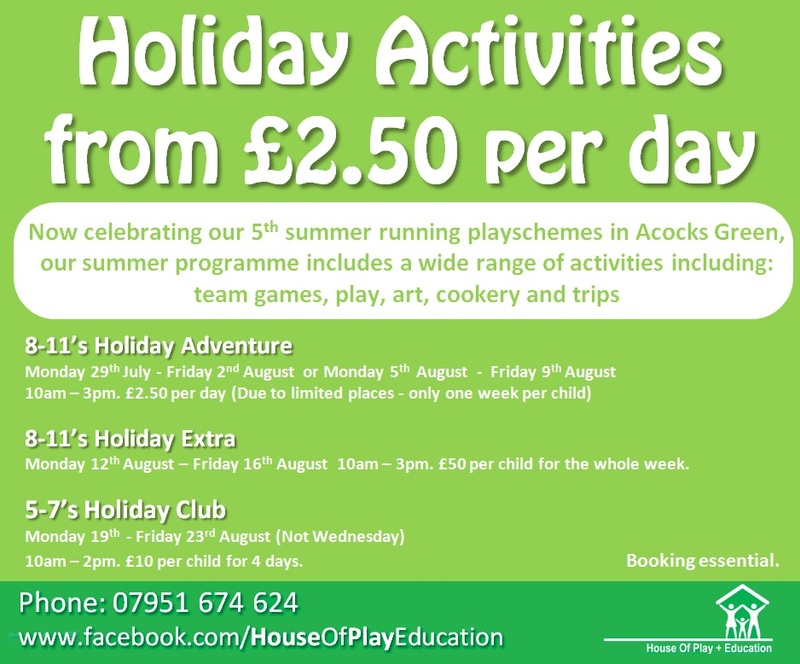 But do not fear, House of Play and Education in Acocks Green is offering affordable holiday activities locally. See below for all the details. This entry was posted in Events and tagged Acocks Green, children's activities, Holiday Camps, holiday clubs, House of Play and Education, playschemes, summer activities. Bookmark the permalink. 2 Responses to School’s Out for Summer! There are usually other schemes for older children, for example Sports4Life in Stockield area and Bus+ around Fox Hollies. If and when we find out more activities we will post them on this site.